Chuck Palahniuk once said about fiction, “Teach me something, make me laugh, and then break my heart.” It’s good advice. While I don’t always make my readers laugh, you could probably insert “scare me to death” and get a similar result. How do you get your audience to have a visceral reaction to your stories, how do you get them to feel the power of the thoughts, emotions and histories of your characters on the page? It’s not easy, but here are a few tips, some ways to engage your readers. First and foremost you have to get your audience to care about your characters, and that’s not easy to do. Don’t just trot out a kitten, or past abuse. You need to show a layered person, somebody who is not one-dimensional. You will have to rely on many different tactics, such as empathy and sympathy, backstory, realism, layers of details, and the many shades of gray that define humanity, in order to portray a person in conflict, somebody at a pivotal moment in their life (that inciting incident) where they reveal who they really are and what motivates them. How do you get your audience to have a visceral reaction to your stories...? One way to get people to care is through sympathy—we need to feel sorry for your character, sympathize with their plight. A very powerful motivator is revenge, or vengeance. If somebody is wronged, we want to see things righted. We may not understand why a woman stays with a man that physically and mentally abuses her, but we can feel bad for her, cringe every time her husband enters the kitchen demanding a cold beer and a sandwich. We can feel bad for a woman that repeatedly tries to have a child only to have a miscarriage instead. We can react to the distress of another human being and root for them to get out of trouble, cheer them on as they try to make things better. Similarly, we can empathize. The difference here is that with sympathy you don’t have to share that experience. You can feel bad for somebody that has an addiction even if you are not an addictive personality yourself. In order to empathize, though, you need to transfer those emotions and experiences from the page to yourself. We all have families, so we can understand the struggles in connecting with a parent, child or sibling. We all have hopes and dreams, so we can understand that need to seek out and find fulfillment. These are those emotional truths we’ve talked about. We all want to be loved—we all want to feel valued. By creating empathy, it will lead to compassion. One way to try and find that sympathy and empathy in your audience, and hopefully, in time, compassion, is by creating dense, layered prose, sharing as much information as is possible. It’s a bit of a shotgun approach, but we are complicated people by nature, us human beings, so don’t be afraid to give us those details. That doesn’t mean you can’t be a minimalist, or that you have to go on for pages about hair color or the clothes your character wears. Just be aware of the need to give us a well-rounded person. Think about what kind of music your serial killer likes, and then give us one condensed line about the dirges that play in the background. Think about what kind of food your heroine eats, and how it ties into her youth growing up on a farm. What kind of job does your elderly protagonist have in order to try and stay in his apartment, to survive—is it at a local library or an adult video store? Those are two very different choices, and they will define your character. Similarly, we need to work in a backstory and history. This is the luggage your hero carries around, the weight of the world, or the inspiration for his journey. That doesn’t necessarily mean a huge information dump at the beginning of your story, although that can work—if it shows us hints of what is on the horizon. We don’t need to know every detail of the vigilante’s childhood, but where would Bruce Wayne be if we didn’t show how his parents were murdered, how he came to be the Dark Knight? That information is crucial. So pick and choose your details—from the immediate and distant past—because they are important to our understanding who our characters are and why they act the way they do. None of your characters will be entirely evil or pure, black or white, even if you are talking about gods and demons. There are shades of gray that make us human. Even Hitler was a little boy—he started out innocent, and became the monster he eventually was by being a product of his environment, his upbringing, and eventually his own ideas about how humanity should evolve. We need to leave room to see the good in your antagonists, and the bad in your protagonists. Hannibal Lecter is a dark character, but he is very smart, and hypnotic at times. Patrick Bateman is definitely a psychopath, but part of what makes American Psycho such a compelling read is the way that Bret Easton Ellis juxtaposes Bateman’s normal behavior up against his brutal acts of violence. It’s disturbing, but definitely captivating. If your protagonist, on the other hand, never fails, never struggles, we’ll have trouble empathizing, because we are human, we are flawed, and we need to see that our heroes are not perfect, that there is a chance they can fail, otherwise there will be no tension. All of these techniques are simply tools for you to use in your fiction. Trying to make the reader care is a complicated mix of sympathy and empathy, backstory and history, character strengths and weaknesses. Now that we have a few examples what makes your audience care, how do you actually make it happen? Basically, you have two ways to fulfill those needs—through love or through hate. Almost every story you read, when it comes to breaking hearts, must revolve around love and the loss of that love. In order to break a heart, that heart must first be filled up, right? But you have a choice here—to break our hearts by giving us what we want, or by not giving us what we want. I’ll elaborate. The obvious way to break a heart is to have something go wrong, to have a dream destroyed, to have a love turn sour. And that is definitely one way to go about it. I probably lean this way more often than the alternative. A husband and wife struggle for years to have a child, and that son dies in an accident, destroying the marriage. Seems pretty obvious, yeah? But does the husband leave because he hates his wife, or because he loves her so much he can’t be that reminder, that echo of what they once had? If your protagonist was abused, and she lives her adult life trying not to become the monsters she battled, what happens when she finally succumbs to those temptations and becomes an abuser herself? Both of these examples, done right, should break your heart. It’s not about pulling the rug out from under your reader, it’s not about a surprise, twist ending (although those can work sometimes), it’s about adding up the story, letting the audience in on the equation, and allowing them to see what is coming, to guess and hope against odds that the inevitable doesn’t happen, only to see it manifest in exactly the gut wrenching way we thought it might. But sometimes a broken heart can happen even if the protagonist gets what they want. The father dies on the hospital bed anyway, but at least they had that last conversation, and the son knows that he is loved. There is a lighter sensation, there is not a void, an absence—the need didn’t go unfulfilled, even if the father passes away. And it doesn’t have to always be death, either. It can be the resignation that your protagonist has changed, they will no longer be an addict, will no longer be that bully, even if it means he will never see his daughter again. It’s probably harder to break hearts this way, but it can be more powerful. To get your readers to engage, you have to do all of the basics—pull them in with a strong narrative hook, create a conflict, show your character battling against that need, and then show them with some sort of resolution, positive or negative. You have to get your audience to care about your characters through empathy and sympathy, by giving us three-dimensional people that have histories and baggage, strengths and weaknesses, layers of emotion and truth. If you are lucky, and you work really hard at all of these things, then your readers will care about the people you create, they will root for them (or against them) in a meaningful way. They will invest themselves, open their hearts, and go along for the ride. If you want to break their hearts, you first have to get them to fall in love, and once you do that—they are putty in your hands. Sounds ominous, doesn’t it? It is. So be sure that if you are going to manipulate your readers that it’s worth the journey, that the trip is one that entertains, inspires, and leaves them grateful for what they have, their own lives in the real world suddenly bright and shiny by comparison. Here are two stories that I think are appropriate. The first is “Signs and Symbols” by Vladimir Nabokov. It’s about an elderly couple and their mentally ill son. The second is by Amy Hempel, and is heavily anthologized. “In the Cemetery Where Al Jolson is Buried” revolves around two best friends, one dying in a hospital. 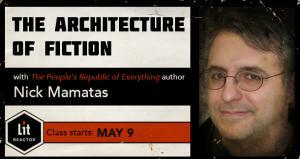 TO SEND A QUESTION TO RICHARD: drop him a line at Richard@litreactor.com. Who knows, it could be his next column. 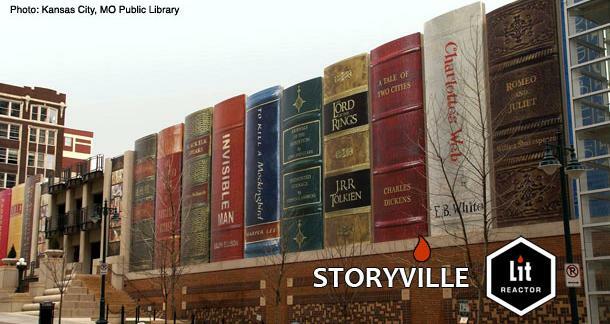 Storyville: Where Do You Get Your Ideas? Thanks for the great article Richard. I often try to write stories that create emotions in the reader so this was very interesting and helpful. In the Cemetery is one of my favorite stories. In the Cemetery Where Al Jolson is Buried is available online here. Another of Amy's great ones, The Harvest, is available here. Good stuff in this column. I'm gonna have to try these ideas out.